In NSW every light vehicle* over the age of 5 years is required to have an e safety inspection (registration inspection) carried out in order to renew their annual registration. Traditionally these inspections were called a ‘pink slip’ inspection due to the colour of the paper they were written on. This was a paper based system where presentation at an RTA site was mandatory to complete the process. Since 1st July 2008 these safety inspections have been renamed an ‘e safety check’ where by the inspection station sends the report electronically to the NSW Roads & Maritime Service (RMS formally the RTA) and allows the registration renewal process to be carried out online. At Denmor Automotive Services all of our e safety check (registration) inspections are carried out online as specified by the RMS (RTA) and for your convenience. 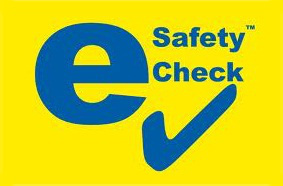 With prior notice, we are able to carry out your e safety check (registration inspection) while you wait. We endeavour to save you time and make the process as smooth as possible. An e safety check can be carried out a full 6 months prior to registration expiry so things don’t have to be left to the last minute! *Light vehicle – Vehicle or trailer with a Gross Vehicle Mass (GVM) of less than 4.5 tonnes.